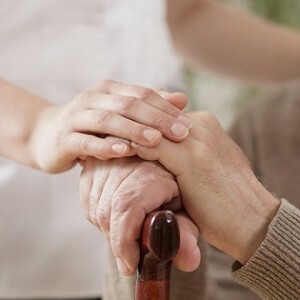 Visiting a loved one with Alzheimer’s can elicit a variety of emotion; you maybe unsure of what to say or what activities to do with your loved one when you visit. We have three facilities (Generations at Regency, Generations at Rock Island and Generations at Neighbors) that specialize in dementia and Alzheimer’s care. GHN and our facilities support our residents, the caregivers, and our staff in the fight against this disease. There are various activities that engage several senses for your loved one and have meaning to them. Have fun and be creative. One suggestion is to bring music your loved one enjoys. Find music that your loved one used to enjoy and bring it for them to listen to, this evokes a discussion of old memories for them and also promotes exercise by encouraging them to move and dance. It can also encourage them to sing along. Vision can also be stimulating as well. Bring photos of other loved ones to discuss, Often the older the photos the better to jog their memory. Look at items in their rooms such as drawings, photographs and/or greeting cards and discuss how they make your loved one feel. Try a new pastime together such as drawing, painting, or coloring with materials from the facility. Coloring has been shown to reduce anxiety and promote focus. For the residents that participate in coloring it also has a big health benefit. It is also used to explore feelings, reconcile emotional conflicts, foster self-awareness, manage behavior, develop social skills, reduce anxiety and increase self-esteem. Don’t worry about your loved one remembering what you said or the visit- you created treasured moments that has a profound impact. You can also tell your loved one how they inspire you, how you feel about them and listen/empathize with them. Your visit is about respecting and honoring them, having fun and laughing.